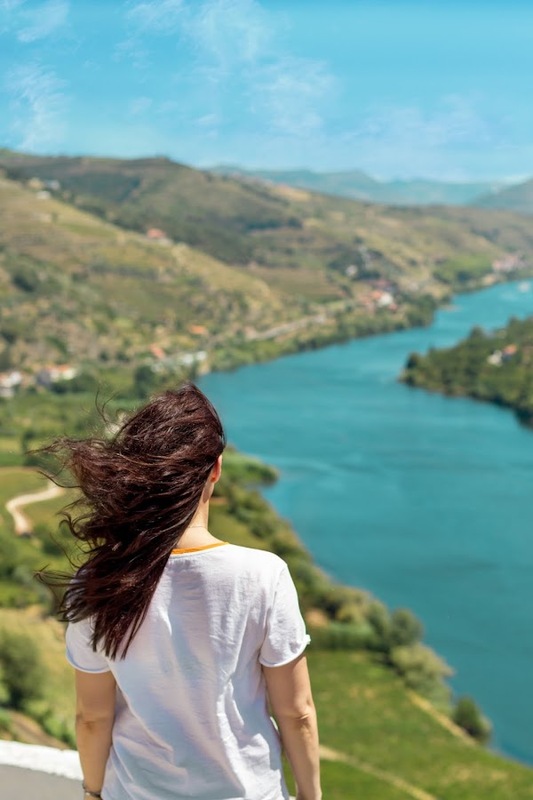 Every year before fall arrives,in early september we used to go to visit Douro valley by car,to enjoy the river view and relaxing. While we were driving across the river,my husband spotted a fig tree. So,he stopped the🚗. Because I couldn't see any fig fruit I got out of the car and went there to take a closer look at the tree. The tree was full of figs.Smart fruit,they were hidden among the leaves. Then I realized there were lots of figs on the ground too,they literally made a carpet fruit around the tree. I couldn't believe nobody picked them up?!!! I asked myself why?!!! The tree is on the side of the road.....Then it downed on me that here everyone has fig trees in their backyard. I couldn't believe an hour ago we paid for a box of figs and now we can have them for free😕. My husband joined me and we started to pick up figs. We climbed the tree, like we did when we were children,picking figs and screaming, every time we've found another one among the leaves. 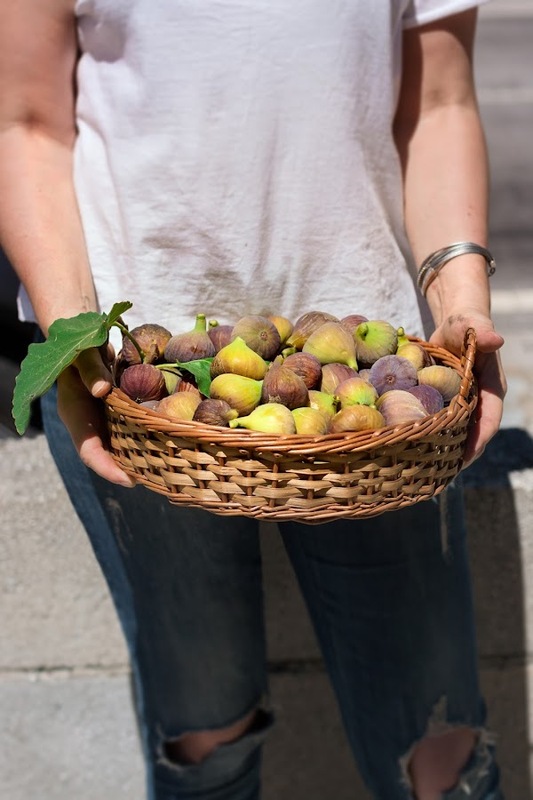 Only after we filled up the bascket with figs and we decided it was time to come back home,we realized we had screatches and an anoying itching on arms,our hands were sticky and our t-shirts were stained. But we didn't care about these,we had so much fun and we can't wait to do it again next year!! 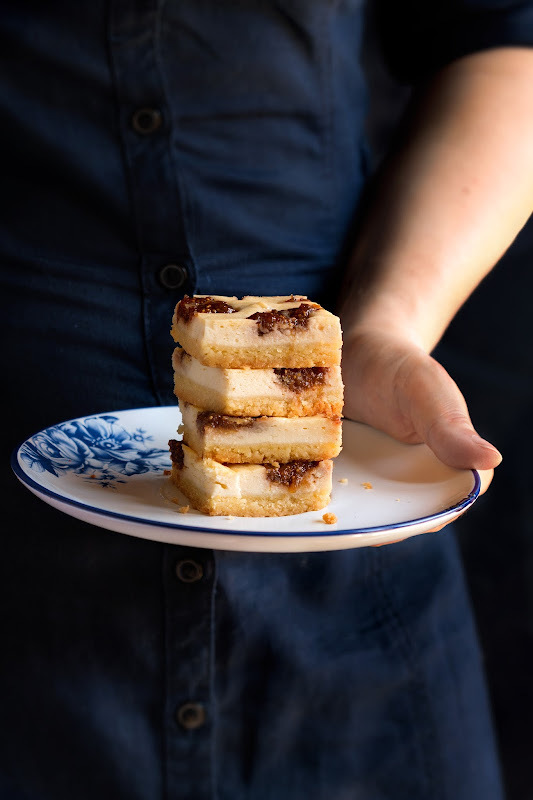 These cheesecake bars were actually the very first baking recipe I tested out and they came out 👌.This is a keeper,guys.Let me know if you try them! Preheat oven to 175ºC/347ºF. Lightly butter and line with parchmentpaper bottom and sides of a 23cm x 23cm (9"x9")square pan. Place figs in a food processor,pulse for a few seconds to puree into a paste.Put the paste into a saucepan,add the sugar,Port wine and lemon zeste. Cook 10 to 15 minutes,over medium heat,until figs are tender and most of liquid is absorbed.Allow it to cool until is ready to use. Place butter and sugar into a food processor,blend until creamy.Add flour and and pulse until well blended and crumbly. Spread the dough evenly over the botton of the pan.Set aside.Meanwhile,prepare the cream cheese filling. In a large bowl,add cream cheese and sugar. Mix with an electric mixer on low-speed until smooth. Add the eggs,one at a time and beat just until incorporated.Add vanilla extract and flour and slowly mix just until incorporated. Pour the mixture over the crust.Spread it evenly with a rubber spatula then top with fig mixture. Bake at 175ºC/347ºF for 40-45 min until the center is almost. Place a sheet of aluminium foil over the pan,halfway through the baking process to prevent the top of the cheesecake from burning. Once baked,remove the cheesecake from the pan at place it on a wire rack to cool. 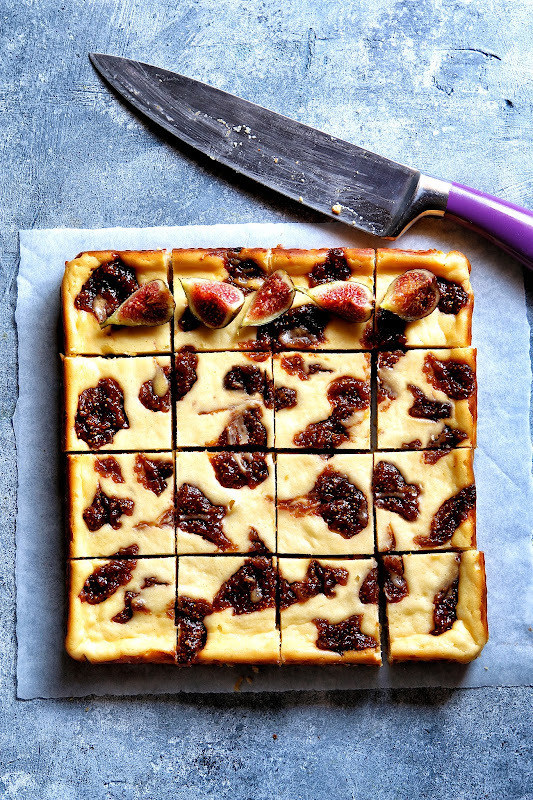 Place small amounts of fig mixture over cream cheese layer. I just went through something very similar with my husband and son recently, but instead of figs it was quince. Loads of quince on the side of the road and no one picks them up, so every year, at the end of our vaycay we hop in the car and go pick up quince to our hearts content! !